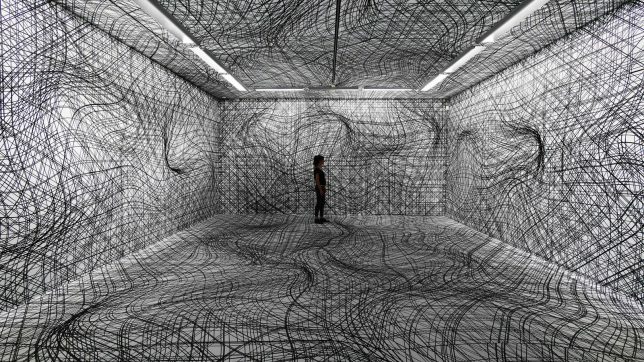 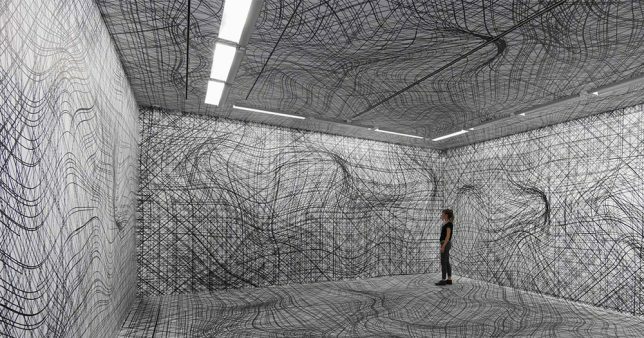 You could be forgiven for cautiously entering one of these rooms full of wavy sketched lines, stepping over obstacles that aren’t really there, uncertain whether parts of the walls are really projecting out toward you. 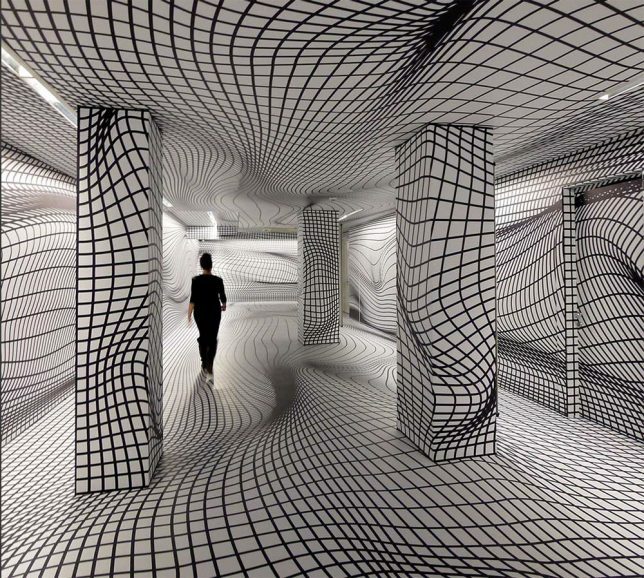 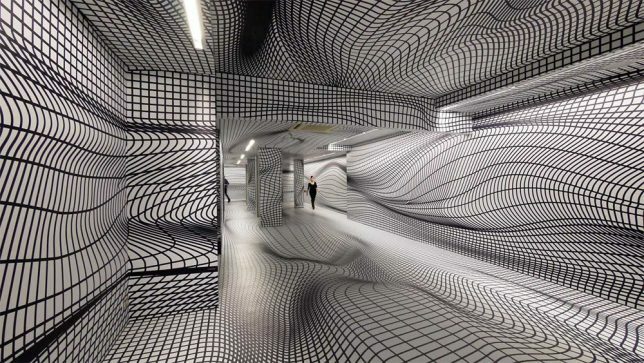 Artist Peter Kogler creates spatial illusions that take over every surface of a gallery, turning it into a ‘virtual maze.’ A master of the large-scale print, he’s spent the last 30 years perfecting his techniques. 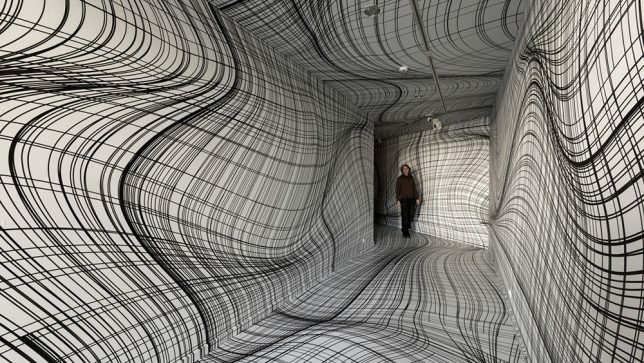 The ones involving grids of lines pull off the most disorienting effects. 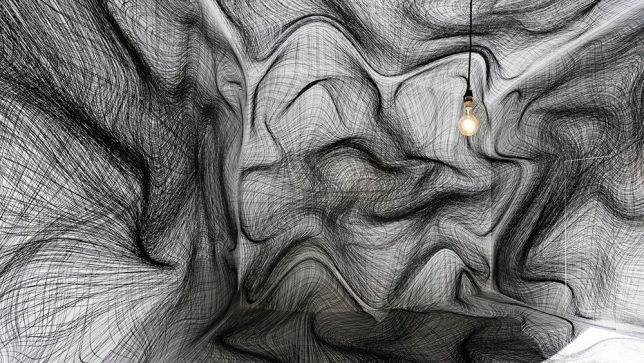 Pictured here are installations from the last few years, including work displayed at the ING Art Center in Brussels this year, the Sigmund Freud Museum in Vienna in 2015 and the Galerie im Taxiplalais in 2014. 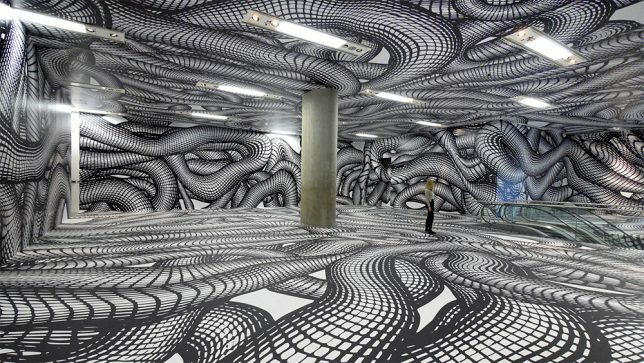 His computer-generated works have even adorned the exterior walls of pavilions and museums, and often feature imagery of snakes, ants and pipes.